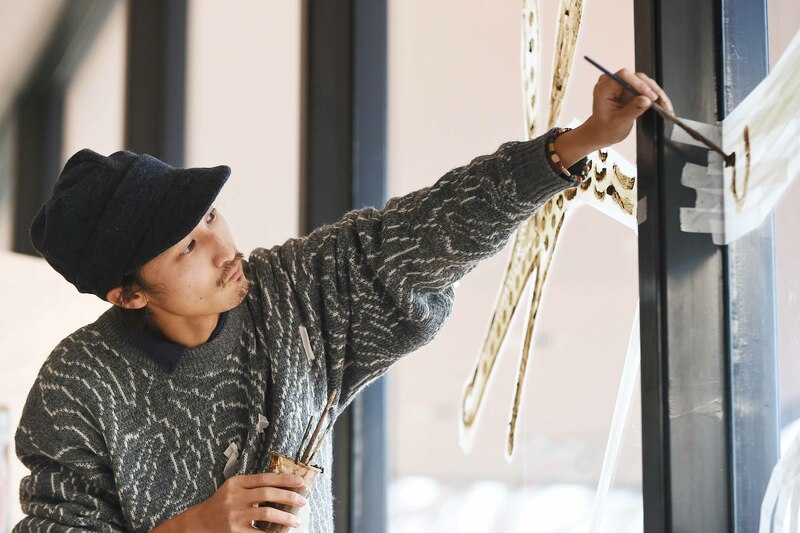 Mud paintings by a 34-year-old Japanese artist, Yusuke Asai, is now on display at the Hakone Open-Air Museum in Hakone-cho, Kanagawa Prefecture. The exhibition “Yusuke Asai: Seeds of Imagination, Journeys of Soil” covers more than 10 pieces of what he calls “earth paintings,” which Asai made from soil he sourced both locally and globally. Visitors can also enjoy looking at paintings by candlelight on certain days. 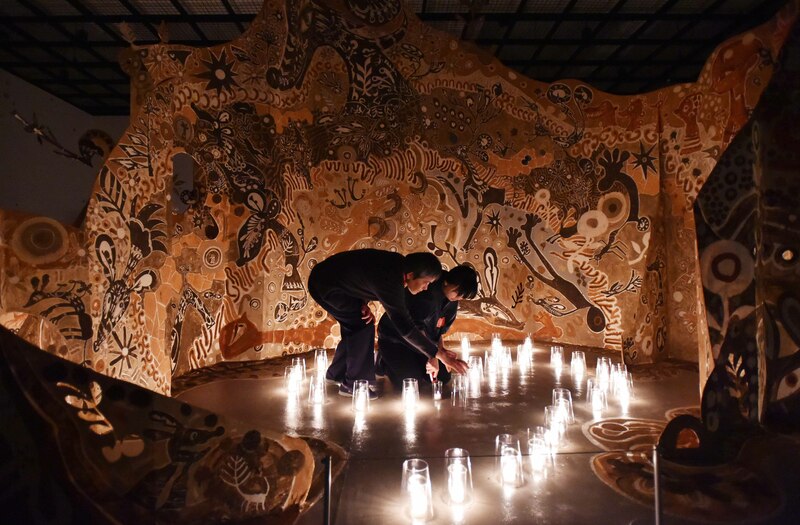 One of the artworks he created for this exhibition is a mural called “Twin Mice.” It measures 16 meters wide and sprawls on the wall to create an immersive experience for every viewers. He drew a number of mice lively in different poses and vividly in different colors, using white, brown and black soil in various tones. 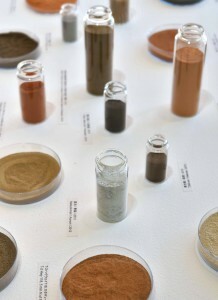 Asai chose to use the earth as medium in 2008 as he wants to work with “something he can find anywhere in the world.” He collects soil in the fields and shrines. Then he dries the soil in the sun, screens, dilutes in water and uses like watercolors to paint something. Asai says that he has a deep feeling for soil. “The earth is used to make potteries, materials for mud paintings and all other products, It’s transformed into different forms and goes around the globe. It’s home to all living things and travels for hundreds of millions of years. 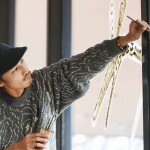 I hope that the viewers can also share this feeling for soil,” he said. The exhibition is open until February 28,2016.